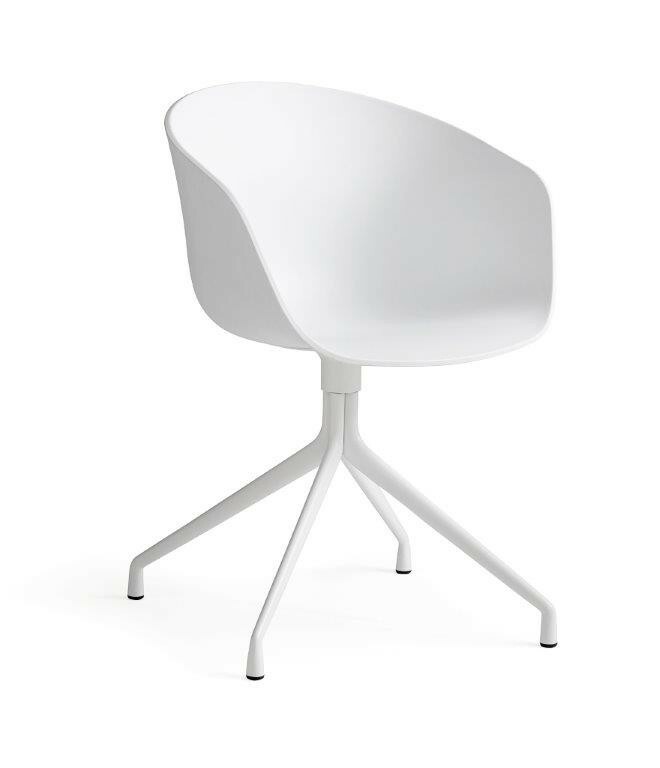 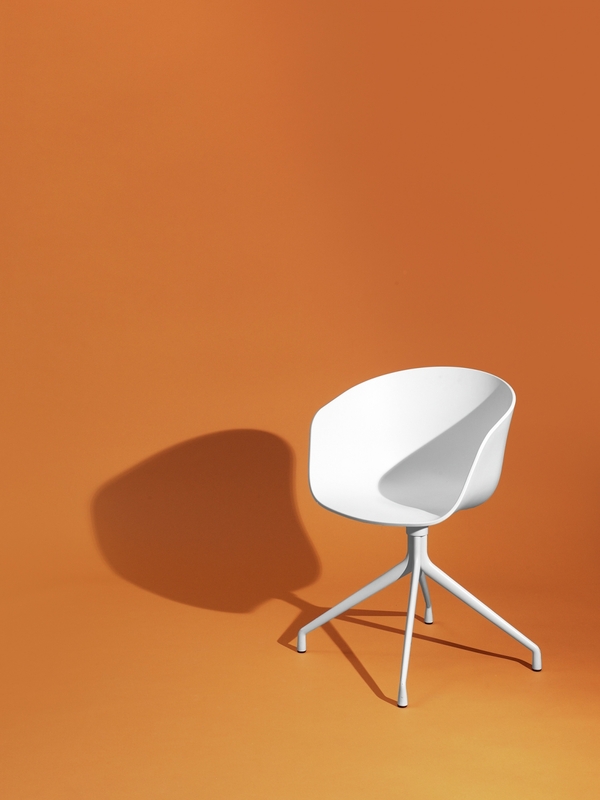 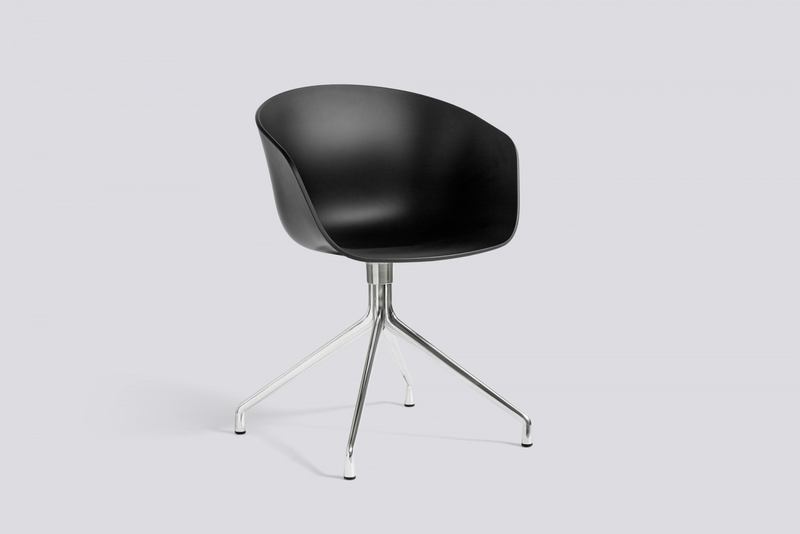 This version of About a Chair has a swivel base in powder-coated steel, which gives the chair a slicker look. 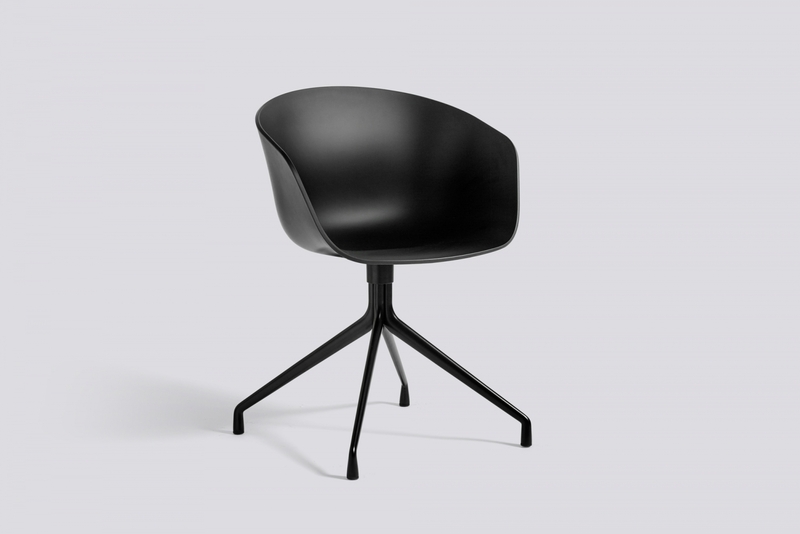 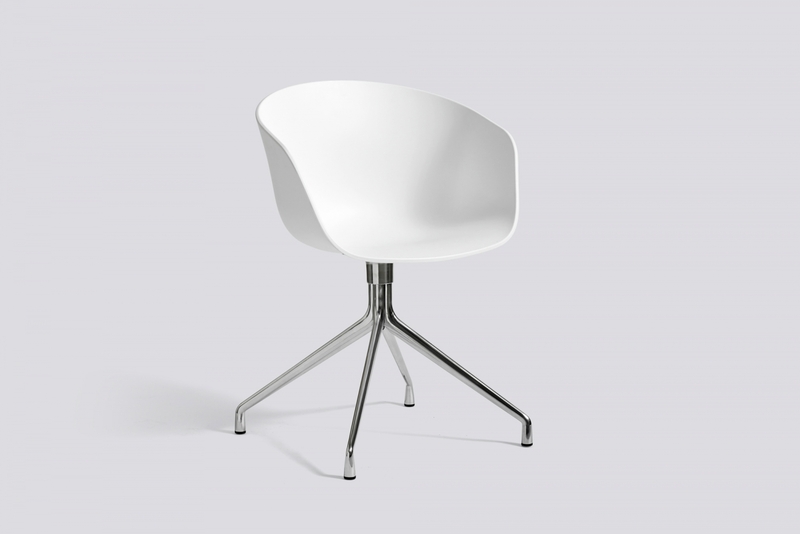 Both because the wooden frame has been replaced with steel and because the delicate and elegant legs fan out from the centred base, almost standing on tiptoes and optically raising the chair off the floor. The rounded shell embraces and supports and invites you to lean back and take a break.